Your dog’s overall health literally starts from the inside out. You want to choose food and products that nourish them, support their digestive system and brain function. 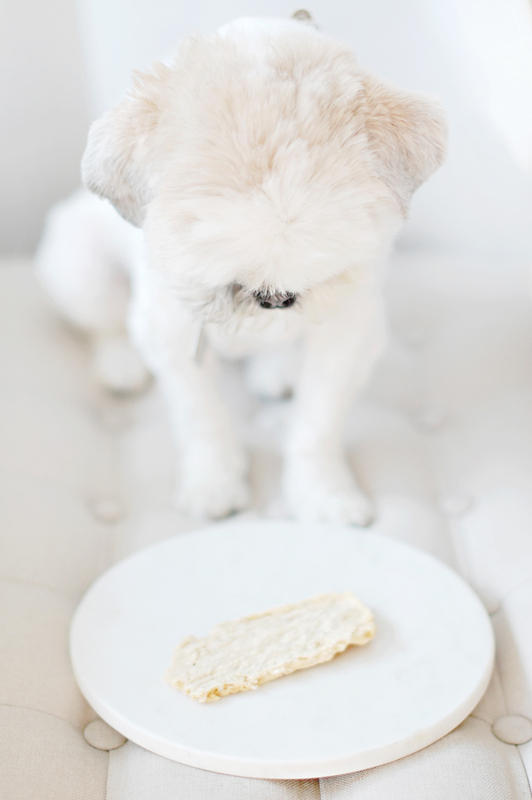 Dull coats, infections, and skin irritations are all signs your dog could benefit from a diet makeover. 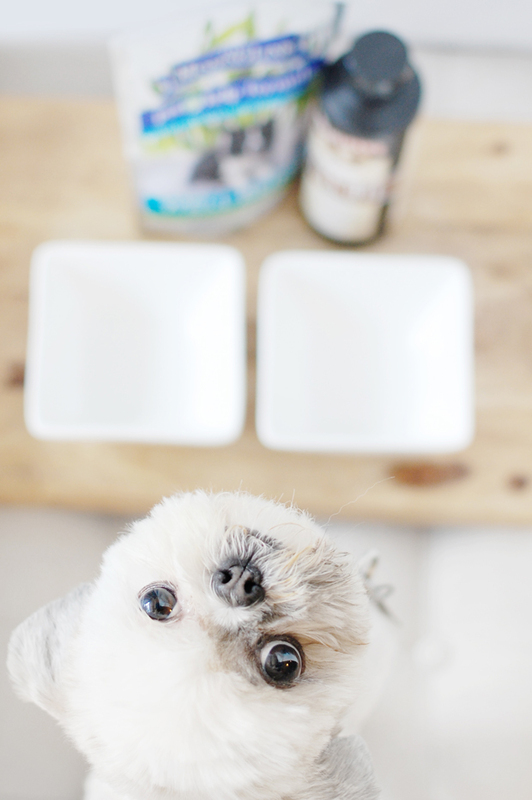 Choosing a high quality dog food that is low in excess grains, high in protein and good fats (such as Omega-6 and Omega-3 fatty acids) is your first step. 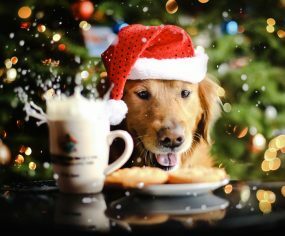 If you’re cooking at home, consult your vet or a pet nutritionist to ensure your pup is getting all their dietary needs met. Consider adding immune boosting superfoods for dogs wherever you can. 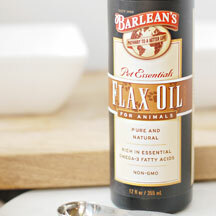 Next, add a supplement to your dog’s daily meal. 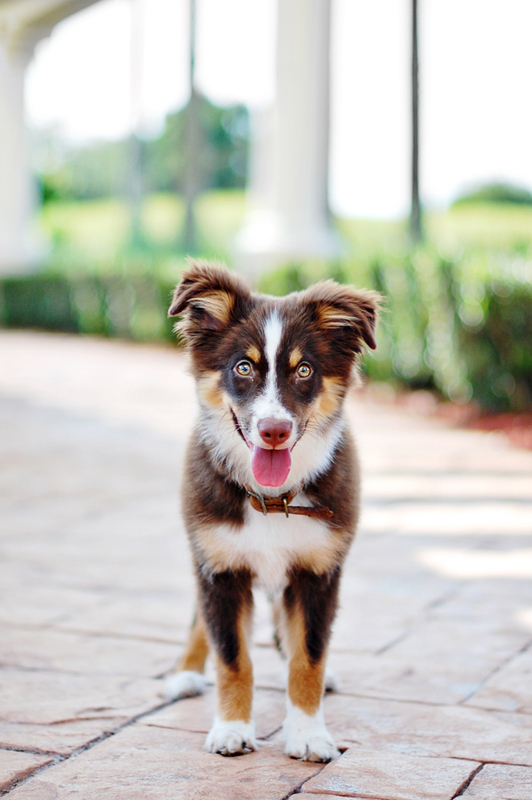 To put it simply – dog food supplements are your insurance policy for a healthy pup. 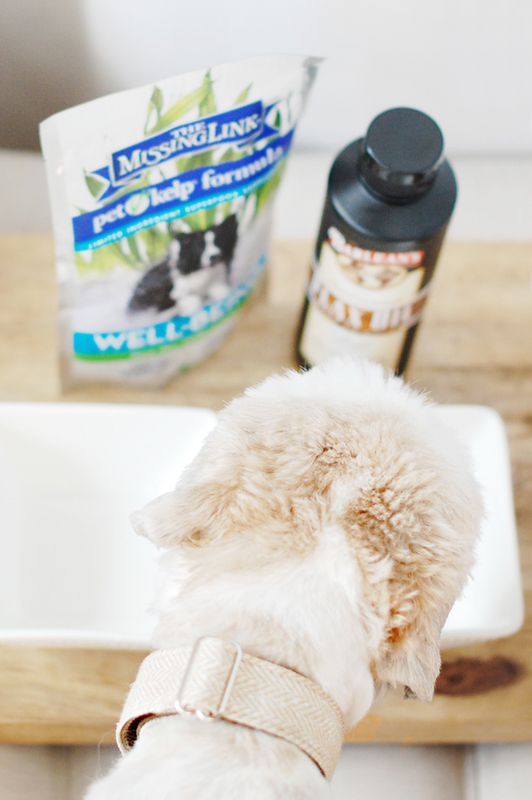 Dog health supplements are easily mixed in to your dog’s dinner and provide them with a balanced set of nutrients and minerals that support their overall wellbeing. 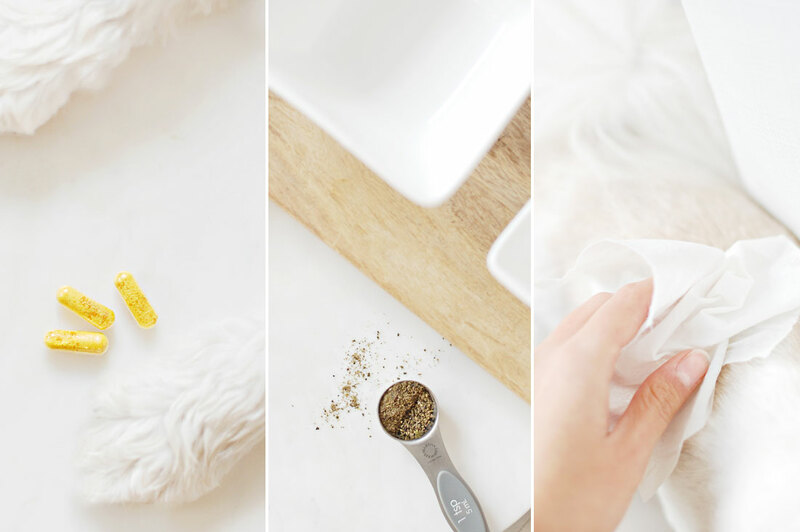 Whether you’re adding them to fancy vet prescription diets, store bought food, or a home cooked meal they add all those extra ingredients to keep your dog’s body functioning at optimal levels. 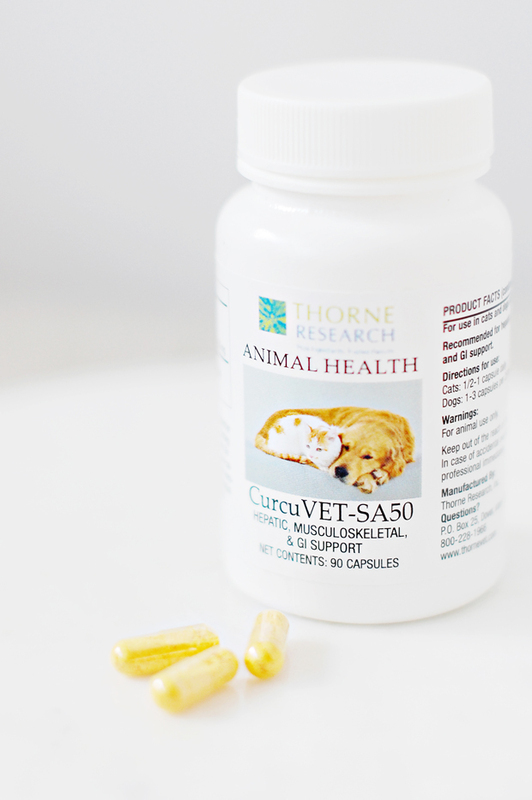 Our favorite dog supplement picks? 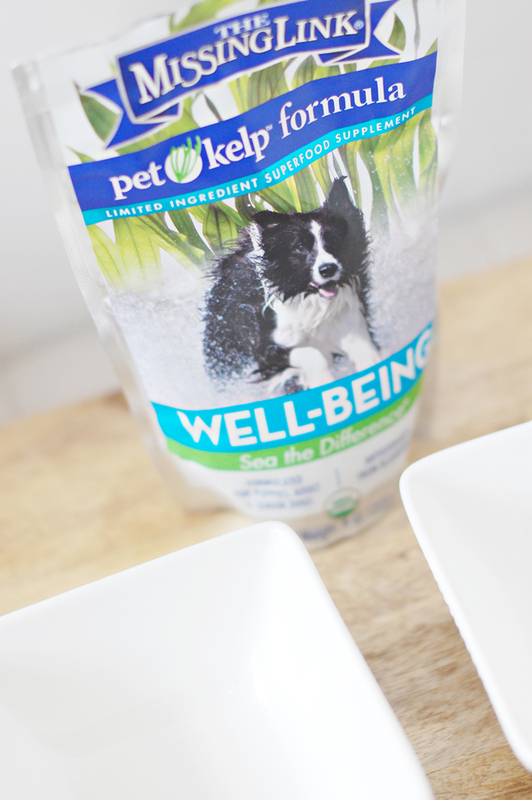 For a Strong Immune System: Well-Being For Dogs Pet Kelp Formula, by The Missing Link, is packed with antioxidants and healthy nutrients to support your dog’s immune system and hardiness – all with 100% natural ingredients like kelp, blueberries and flaxseed. 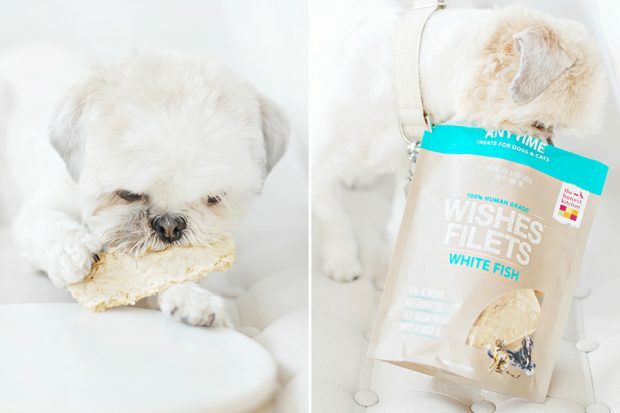 And bonus – dogs LOVE the taste of this one! Coco couldn’t lick the bowl cleaner when this was added to her dinner. 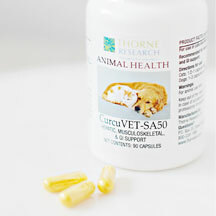 For Healthy Joints and Organs: Thorne Research CurcuVET-SA50-Soy Free Capsules have a very scientific sounding name, but are essentially filled with natural extracts designed to support your dog’s intestinal tract, liver, joints and muscles. 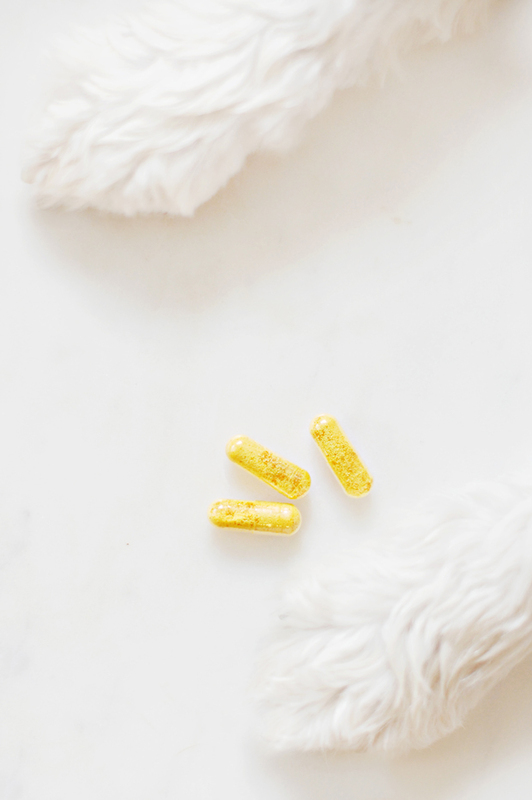 Being a clean, natural based supplement means the nutrients in these capsules are absorbed by your pup’s body much more effectively to build a strong body and immune system to prevent disease. 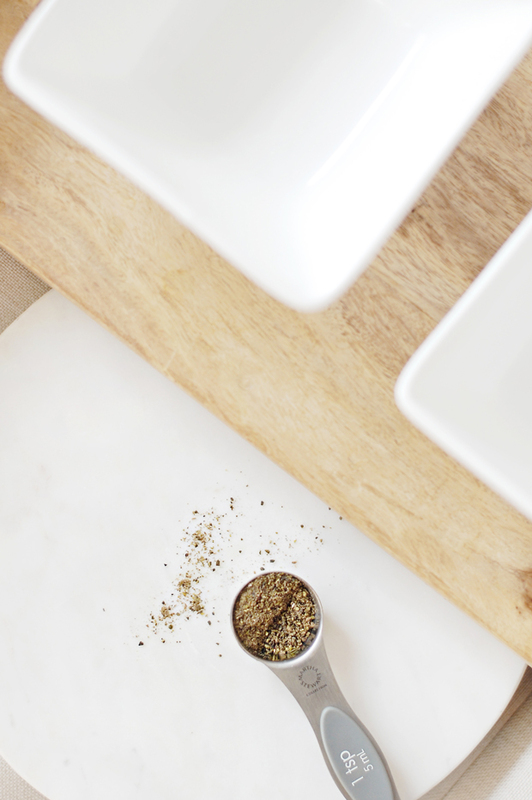 Just pop them in your pup’s meal and voila! they’re on the path to good health. They don’t even notice they’re in their bowl. 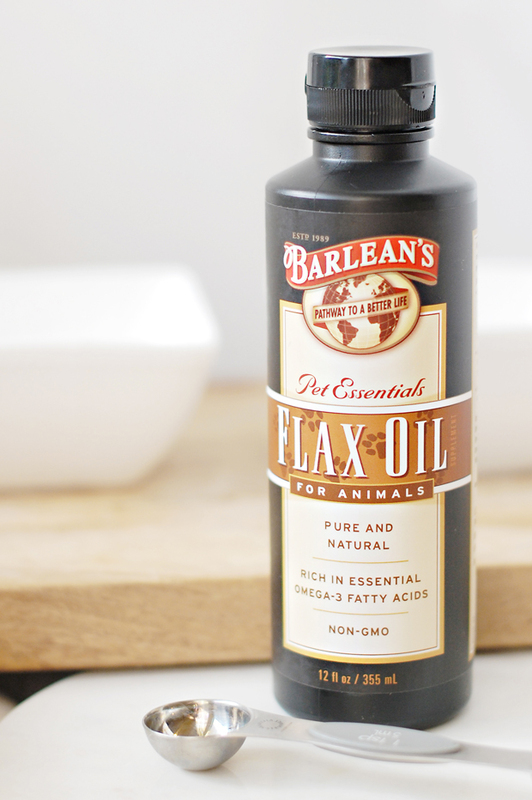 For Healthy Skin and Coats: Barlean’s Flax Oil is an easy addition to your dog’s bowl – just stir in through. Rich in Omega-3 fatty acids and 100% natural, it supports a healthy immune system, prevents dry/patchy skin irritations, makes coats shinier, increases bone strength and teaches your dog how to drive (that last one may not be entirely true…) Plus it adds a tasty flavor to your dog’s meal that (if Coco’s love for it is anything to go by) will have them begging for more. We’ve all heard it before, but a brush a day really does help keep the vet away. Brushing stimulants your pup’s skin, removes excess hair, encourages circulation and basically makes your dog feel like they are Beyonce on world tour. 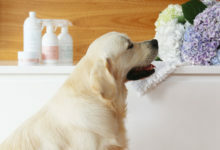 If your dog suffers from allergies and sensitive skin, a gentle, natural shampoo is a MUST. 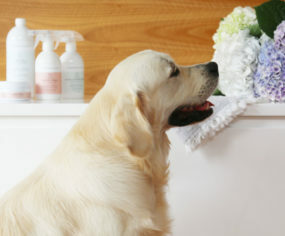 Look for cleansers with NO Parabens, Sulfates and Phthalates that can irritate and harm your pooch. 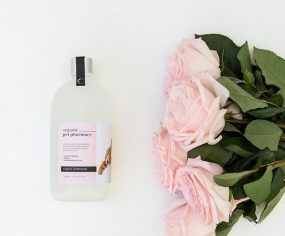 Dog shampoos like Indigo Wild Dog Wash and Yum Mist Dog Spritzer are based on natural ingredients with essential oils working tirelessly to gently clean and leave your dog’s skin and coat balanced. Absolutely no nasties! And for those playing at home, Coco smelt amazing after using these two. The Spritzer especially couldn’t be easier – a quick spray is all you need when a full bath isn’t an option. LOVE. IT. 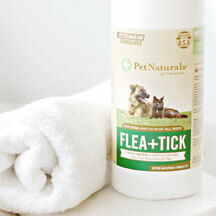 For dog owners looking for natural flea and tick protection you can’t go past Flea + Tick Towlettes by Pet Natural of Vermont. 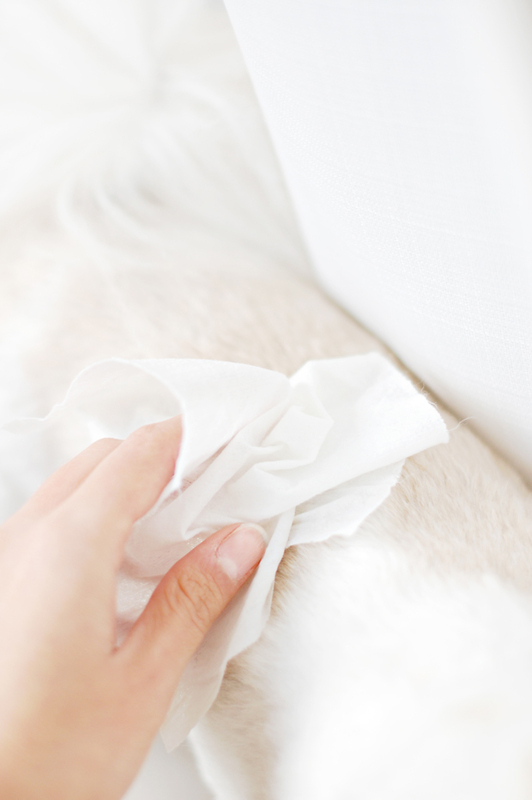 A quick wipe of these all natural wet wipes helps shield your pup from fleas, ticks and mosquitoes before you head outside. 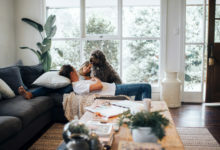 So by now you have a dog with a healthy body, healthy skin and coat – it’s time to focus on their mental health. First rule? 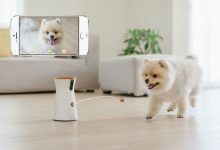 An active, stimulated dog is a healthy and happy dog. Ensure your dog is getting the right amount of exercise they need every day. Check with your vet if you’re not sure of what your pup’s activity requirements are. Running, walking, off leash play, swimming, and agility are all activities dogs love – while keeping them mentally and physically stimulated. Next up – training. Whether you’re teaching your dog to sit and stay, or more fun tricks like high five or playing dead, training is the perfect way to keep your dog’s brain active at any age. 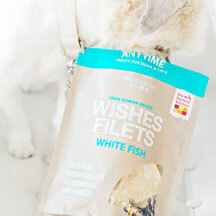 To make training fun AND healthy, choosing a natural treat like The Honest Kitchen Wishes Fillets to encourage and reward your dog. That way they’re getting smart and fit at the same time –BAM! 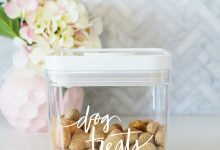 These clean treats had Coco gobbling them down in no time then staring at the pantry for more. 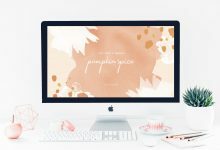 Do yourself a favor and check out their range. And finally, never underestimate a good play session or cuddle. It’s the perfect way to start or end a day with your best friend by your side. 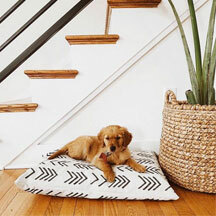 All the natural products mentioned in this story are stocked by iHerb – your go-to online store for all things pet health. 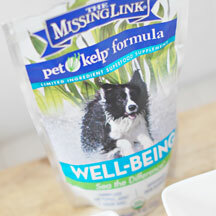 In fact, iHerb have ALL the best dog health brands at budget friendly price points. I’ll admit, I wasn’t actually aware of them until recently, and boy and I’m glad I found them! 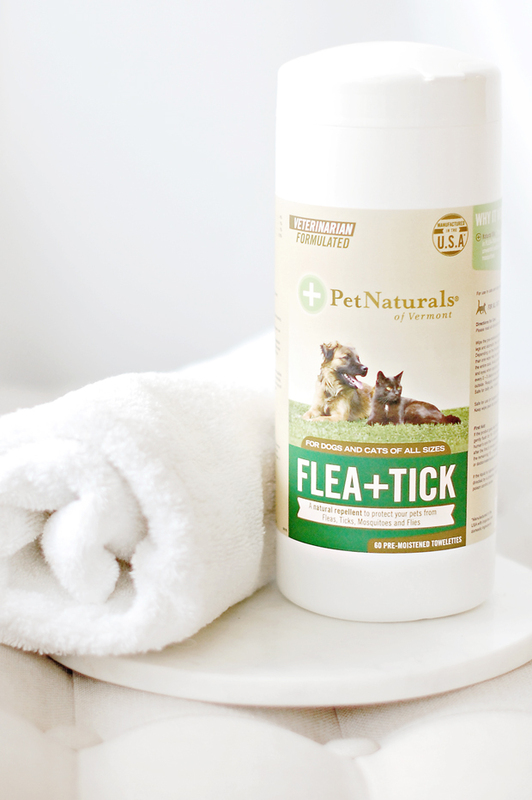 If it’s clean, natural and healthy – they have it. 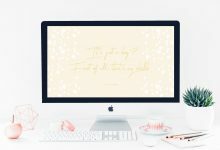 A Google Trusted Store, their Customer Service team provides support in 10 different languages, so ordering couldn’t be easier. 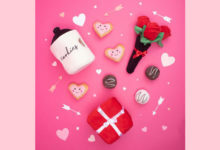 Just days after filling our shopping cart the products arrived on our doorstep. 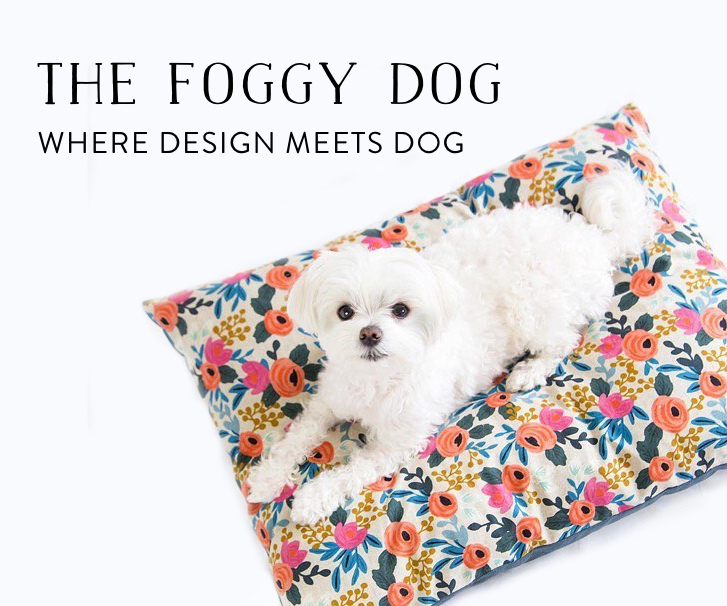 We’ve fallen in love with them and think you will too. 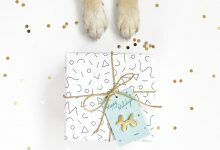 Because we think iHerb is the place to go for all things pet health, we’ve teamed up with them to give you a gift. New customers get $5 OFF your first iHerb order of $20 or more – just CLICK HERE to start shopping. 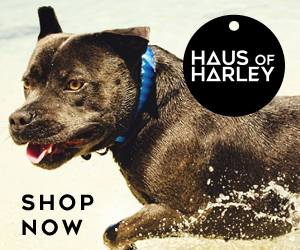 It’s your first step towards a happier, healthier dog.